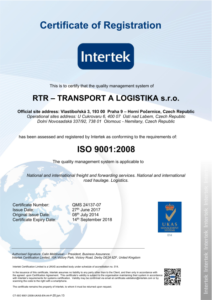 We have been providing services since 1991. The firm is made up of more than 100 employees. Our storage capacity is 20,000 m2. We own a fleet of trucks. 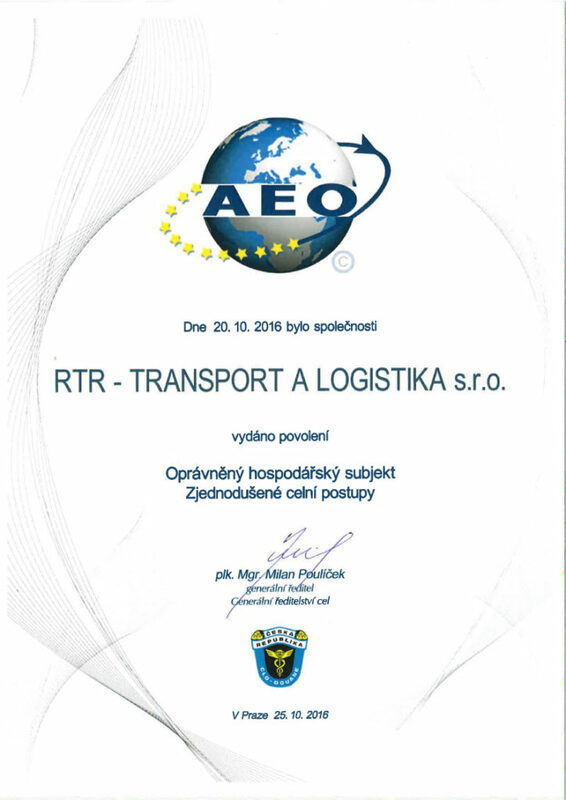 Trade name: RTR – TRANSPORT A LOGISTIKA s.r.o. The firm was founded in 1991. 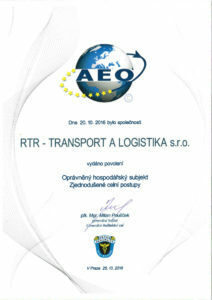 We provide comprehensive services in transport and logistics. 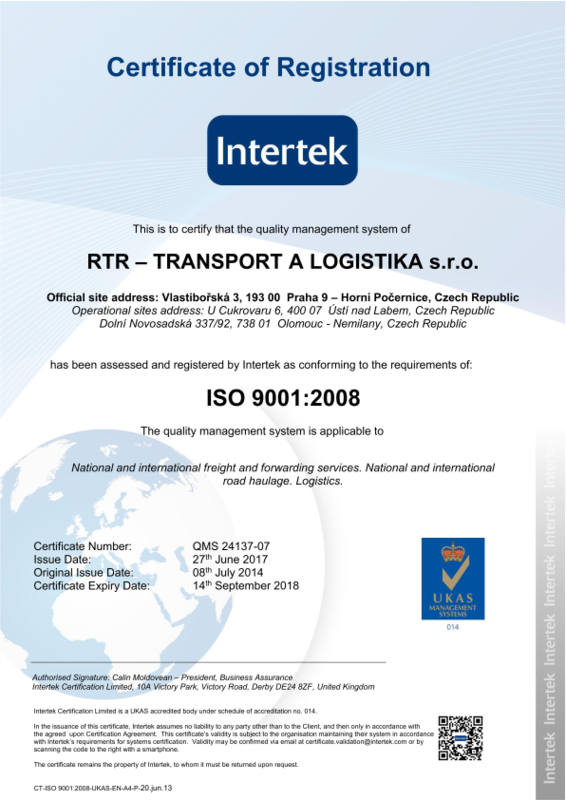 Our quality management system meets the stringent criteria of standards.